Serbia boasts significant mineral resources including lignite, copper, lead, zinc and industrial minerals. Geographical location and diversity of Serbia’s mineral resources are without doubt conducive factors to future investments in the mining sector. Enhancing legislative framework and ensuring proper application of rules has a pivotal role in boosting investor confidence, encouraging project finance and delivering mutually beneficial project outcomes to private and public sector alike. 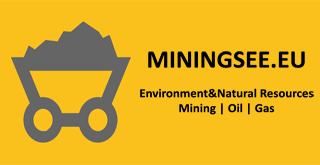 New Law on Mining and Geological Explorations entered into force on December 16th, 2015 (Law 2015) with the main aim of attracting future investments in geological explorations and mining. Among various changes that the new law has introduced, there are some interesting novelties in the area of exploitation rights. Exploration license holder now has a priority right to submit a request for retaining rights over the exploration area in order to prepare documentation for exploitation approval/exploitation field approval. New Law makes a distinction between Exploitation Field Approval and Exploitation Approval, with respect to the subject of exploitation and respective issuance conditions. Exploitation Approval is requested for exploitation of non-metallic mineral raw materials used for obtaining construction materials and exploitation of mineral resources for obtaining natural construction materials specified by the law. Interested parties usually seek this approval for quarries and smaller projects. For all other ores, Exploitation Field Approval is required. Being of particular convenience for investors, it is predicted that exploitation field shall be approved without proof of legal basis for land usage (e.g. ownership, lease, servitude right), which will be necessary only when submitting a request for mining facilities construction approval and/or performing mining works. This right should exist over the surface where mining facilities construction and performance of mining works are planned for at least ten years, except in the case of oil and gas when the request is to be submitted for the period of up to ten years. In case of exploitation of reserves of mineral raw materials that are of strategic importance for the Republic of Serbia (oil and natural gas, coal, copper and gold ore, lead and zinc ore, boron and lithium ore, oil slates) a special act of the Government on establishing the public interest for a period of five years of exploitation should be submitted. There is an important legislative novelty with respect to obtaining mining facilities construction approval and/or performance of mining works approval, including procedure for obtaining Exploitation Approval. A deposited promissory note/a proof of bank guarantee/a corporate guarantee must be provided in favour of the Republic of Serbia (with mandatory validity period of at least three years from the date of issuance), amounting to at least 30% of the amount allocated under the main mining project for the execution of recovery/re-cultivation of degraded land due to exploitation. Also Law 2015 reduced the number of documents required for issuance of various approvals for performing geological exploration and mining exploitation. The most significant novelty that could be of interest for potential investors in this field is that municipalities are no longer in charge of issuing approvals for exploration and exploitation. According to the Law on Mining and Geological Explorations from 2011 (Law 2011), municipalities had been authorised to issue approvals for exploitation of certain mineral raw materials, including mineral raw materials used for obtaining construction materials. This presented a procedural burden slowing down the whole exploitation approval process. It should be noted that majority of local municipalities during that time had neither necessary human resources nor technical capabilities to process and finalise such requests. Under Law 2015, issuance of all approvals for exploration and exploitation come under the competence of the Ministry of Mining and Energy („Ministry“) and the competent authority of Autonomous Province (“Provincial Authority”), in cases when exploration/exploitation is to be conducted on the territory of Autonomous Province. This will significantly shorten the overall length of procedure for obtaining these approvals. A holder of exploitation approval who has been granted performance of mining works shall pay the royalty for the use of mineral raw materials and geothermal resources. Amounts of these royalties have remained the same as in Law 2011. New Regulation on Manner of Royalty Payment and Conditions of Deferred Debt Payment Based on Royalty for Usage of Mineral Raw Materials and Geothermal Resources (“Official Gazette of RS”, no. 16/2016) has introduced the possibility of deferred royalty debt payment over twelve monthly installments. The legal basis for deferred payment of debt is an agreement concluded between a debtor and Ministry/Provincial Authority. Should debtor fail to make payment of two monthly installments or otherwise fail to fulfill its ongoing obligations, competent authority will terminate agreement ex officio and initiate enforced collection action. Regarding usage of non-metallic raw materials used in obtaining construction materials (marble, lime, clay, sand, gravel, technical-construction and architectonic-construction stone, etc.) and magnesite, it is stipulated that royalty shall be determined by the Government in last quarter of the current year for the next year, according to the type of mineral raw material. Pursuant to the Rulebook on the Amount of Royalty for Usage of Non-Metallic Raw Materials Used in Obtaining the Construction Materials for 2016, these royalties have remained unchanged. Another novelty is that Law 2015 does not recognize royalty for usage of geothermal energy in order to encourage greater use of this resource. A fixed royalty in the amount of RSD 5,000.00 is envisaged for applied geological explorations of mineral and other geological resources with the surface area of up to 0.5 km2. For the surface area greater than 0.5 km2, royalty remains the same and amounts to RSD 10,000.00 per km2. Serbian Ministry of Finance has prepared the Draft Law on Fees for Usage of Resources in Public Ownership. This law will include all royalties covering exploitation and geological exploration. According to the Draft, royalty amounts for usage of mineral raw materials and geothermal resources shall be specified by Government based on proposal of Ministry of Mining and Energy. The Draft also envisages upper percentage limits in respect of the market price for each separate ore. This proposal is currently on hold, subject to public discussion before the National Assembly of the Republic of Serbia. Its adoption is reasonably expected to come in the following months. In relation to other administrative fees for different mining requests, the new Law on Administrative Fees shall enter into force on July 1st, 2016 and bring only a slight increase in administrative fees. Law 2015 provides an opportunity for exploitation license holder to transfer its license to any company, other legal entity or an entrepreneur. Provisions regarding transfer are now stated in the Law and not in the Rulebook, as was the case until the adoption of Law 2015. A transfer of license has to be approved by the competent authority, i.e. Ministry or Provincial Authority, depending on which authority has rendered the license. Unlike Law 2011, the new law does not explicitly stipulate that a request for approval has to be submitted by an exploitation license holder, along with verified proxy issued by a future license holder. Additionally, Law 2015 has cut down on documentation that needs to accompany the request for approval submission. Namely, excerpts of registered data for current and future license holders- the latest supervision report performed by mining inspector, geological inspector and safety inspector are no longer required. Exploitation rights are an important part of legal framework governing mining activities in Serbia. The legislative changes covering exploitation rights appear to be a step towards a more streamlined process. Proverbially, as with any other legislation, practical benefits of these new provisions are yet to be demonstrated. Taking into account that Law 2015 is still in its early beginnings and that potential for burdening legal uncertainties can hardly be overstated, ongoing consultations between relevant industry stakeholders led by the competent Ministry would favour the attainment of lawmakers’ objectives and facilitate further improvements to the overall framework.